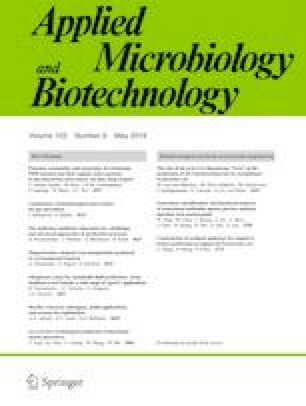 Both strain engineering and process optimization are intensively studied in microbial biosurfactant literature. However, screening of multiple strains and/or medium components in parallel is a very labor-intensive and timely process, considering the only applied technique nowadays is evaluation through shake flask and/or bioreactor experiments. Therefore, in this work, the development, optimization, and application of a more throughput technique—based on 24-deep well plates—are described for a new Starmerella bombicola strain producing bolaform sophorolipids. To develop an optimal setup, the influence of plate position and culture volume and the type of sandwich cover was investigated. Optimal parameters, which did not result in significant differences compared with shake flask experiments concerning growth, glucose consumption, and production of novel sophorolipids, were defined and validated. Next, the new method was applied to evaluate the influence of the use of alternative (commercial) nitrogen sources in comparison with the yeast extract currently applied in the production medium, aiming to increase production efficiency. Self-made yeast extracts from S. bombicola cells were also included to evaluate possible recycling of cells after fermentation. In conclusion, the designed method enabled the efficient and successful comparison of ten different nitrogen sources in varying concentrations (1, 4, and 10 g/L) on bola sophorolipid production, which can now also be performed for other parameters important for growth and/or glycolipid production. The online version of this article ( https://doi.org/10.1007/s00253-019-09766-3) contains supplementary material, which is available to authorized users. The authors wish to sincerely thank Katelijne Bekers from Ohly for providing the Ohly products and scientific suggestions and for thoroughly proofreading this manuscript. Next, we want to thank Dr. Wouter Duetz (Enzyscreen) for providing the different deep well plates, sandwich covers, and other materials. The authors also wish to thank Novozymes for supplying the proteases that enabled the production of yeast extract. This research was funded by the European 7th Framework Program Project IB2Market (grant number 111043), and European Horizon 2020 Bio-Based Industries (BBI) Consortium Project Carbosurf (grant number 669003).